Discussion in 'A Song For You: The Carpenters Forum' started by SakuraSYayoi, Apr 26, 2011. I watched 3 news clips of this at 9News site. Two clips had Olivia Newton-John. Musical titans John Bettis, Garth Brooks, Leon Russell, Billy Steinberg & Tom Kelly and Allen Toussaint will become the newest members of the Songwriters Hall of Fame at the organization's 42nd Annual Induction and Awards Dinner. The star-studded event is slated for Thursday, June 16th at the Marriott Marquis Hotel in New York City . John Bettis has written songs that have sold more than 250 million records worldwide and have been sung by some of the most loved artists of all time including, Michael Jackson, George Strait, Celine Dion, Madonna, Diana Ross, Whitney Houston, Karen Carpenter and many more. His songs include: "Human Nature," "Heartland," "Top Of The World," "Yesterday Once More," "Good-Bye To Love," "Only Yesterday," "Can You Stop The Rain?," "One Moment In Time," "Crazy For You," and "Slow Hand." Bettis has been nominated for an Academy Award, a Golden Globe, three Grammys® and three Emmys. In 1988 he received an Emmy for "One Moment In Time," the theme song for the 1988 Olympics. He also received an Emmy for "Where Is The Hope" in 2003. His song "Human Nature" was included in the historic album of the year Thriller. His film work includes Twilight Zone: The Movie, Vision Quest, Pure Country, Cocktail, Star Trek V and The Godfather III among others. His TV themes include Growing Pains, Murphy Brown and Nurses. Leon Russell is a legendary songwriter whose credits include "A Song For You," "This Masquerade," " Delta Lady," " Tight Rope," "Bluebird," " Back To The Island," and "Hummingbird." Joe Cocker had a hit with "Delta Lady," B.B. King with "Hummingbird," and The Carpenters with "Superstar," which Leon co-wrote with Bonnie Bramlett. George Benson's recording of "This Masquerade" won the Grammy® Award for Best Record of The Year in 1977 and was the only song with vocals on his triple Platinum album, Breezin. Russell had his own chart success with "Tight Rope" at #11 in 1972 and "Bluebird" at #14 in 1975. Russell's song, "If It Wasn't for Bad," from his 2010 duet album The Union, with Elton John, was nominated for a Grammy Award for Best Pop Collaboration with Vocals. Russell was well known as a session musician in Los Angeles during the 1960's, and played on hit records by The Byrds, The Beach Boys, Herb Alpert and The Tijuana Brass, Gary Lewis and The Playboys, and many others. Russell will be honored by the Rock and Roll Hall of Fame as the first recipient of the Award for Musical Excellence in March 2011. Earthquake hit Tokyo minutes ago again(M5 in Ibaraki). Thank you for your support & pray for Japan. How amusing, I've been listening to One moment in time by Whitney since 1989 from my vynil soap soundtrack O salvador da pátria Internacional and I had no idea it was an Olympics theme song! There has been written better Olympics theme songs anyway like Shakira's Waka waka and Gloria Estefan's Reach. 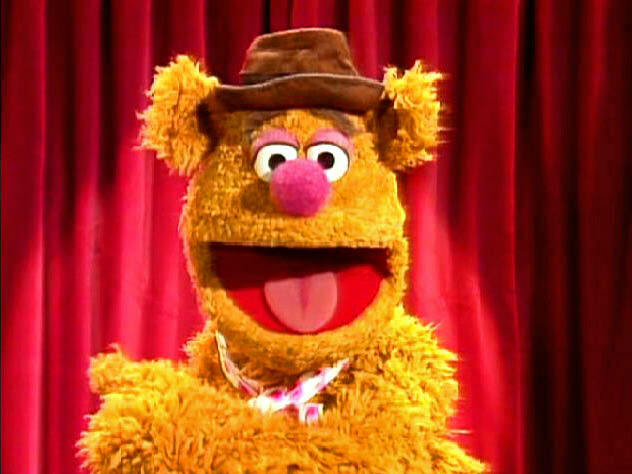 Oh, actually Waka waka was a WORLD CUP theme song, LOL! Olympics, World Cup, whatever. So Garth Brooks HAS written any other songs besides Standing outside the fire?? LOL, that's the only one I've heard of him, not counting Two pina colada, which I don't remember a single note of, from one of the Saturday night live - 25 years of music DVDs. Standing outside the fire is a cool song though, they would play the dance mix on the radio and I remember I thought it was TRACY CHAPMAN singing it before they introduced Mr. Brooks. A MILLION YEARS AGO, 1998, I guess. Gosh, I'm SO old.